"Easy to use for small businesses!" I can honestly say that there isn't much to dislike about JAMF now. There are some features that are limited, but JAMF Pro is an option for those who need more. JAMF now is great for basics and for someone who might be new to MDM. I'd recommend this for a small to medium sized business who wants to manage their company owned hardware, push out updates, profiles, security management, and software purchases. We're able to easily enroll all company owned machines with MDM that allows us to push out WiFi profiles, lock computers that have been lost or stolen, and set security preferences. JAMF now also allows us to set up conference room iPads with Zoom software, set them to single-app mode and keep them locked down and secure. "Easily manage hundreds of clients"
It can be INCREDIBLY slow. Because of using multiple servers, clients, etc, sometimes you have to be patient when running large jobs and sending large items. 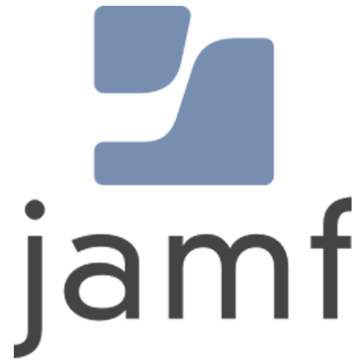 Because we use JAMFTools on our macs, there are several accounts we must use. JAMFComposer can often be picky about what it wants to and doesn't want to package, and how it works. It assums you want to do a before/after image install, but this is not always the case. Be wary as to device counts, as it may get pricy, as I believe we pay per device. We are able to manage 303 Macs all from one console / config application. Because of this, any one of our support staff members can push policy to the macs using JAMFRemote, and see results and logs quickly. We are able to put in different maintenence scripts and policies for users as well, such as mounting network drives, adding printers, etc. This makes it easy for USERS to troubleshoot. "Jamf Now- Great Customer Service!" I love how easy it is connect to customer support for Jamf Now! They're chat enables me to connect and get my questions answered right away. It is so convenient, especially since I was completely new to device management. The customer support assistants are extremely helpful and knowledgeable of their product. One think I don't like about this product is that I am unable to re-name my devices. For example, because I did not know this when connecting devices, I named all of them after the people who would be using them at the time. When one person turned their device in, I went to change their device name on Jamf to a generic name, and I am unable to do so. So even though on Jamef, the device's name shows up as "Bob", i just need to remember that Bob no longer physically has that device. I would recommend using Jamf Now for mobile device management on just their customer service alone. One thing that is a little annoying however are the layout of their website; it's not as intuitive as I think it could be. With that being said however, their customer support chat is so helpful, when I do need help navigating the website, I can always get my questions answered right away. Jamf Now allows me to send automatic updates and control what is downloaded and how devices are used, all while sitting at my computer. It's very helpful, because instead of people rushing be at board meetings to ask "how do I update this app? ", I can make sure everything is completed and updated with out them having to do anything. "Low touch management of apple devices for SMB"
Easy to add Apple devices to JAMF platform and keep track of inventory. Not invasive so engineers do not worry too much about a heavy "tracking" solution (if you need that I believe you'd need more than JAMF Now). They recently implemented the ability to have multiple admins of the JAMF cloud. The price is very reasonable. There is not much to dislike. The solution fits our needs at around 25 devices. Ability to keep track of all our Macs in one place and know that we can remotely wipe any JAMF installated machine if stolen. "Ideal hardware management solution if your team's gear is all Apple"
Can manage both iOS and OS X devices. Automatically configures all email settings and apps across devices. Can also export all device information to a CSV file for further reference. The pricing could become a large overhead if a huge number of devices are being managed. Luckily our team is very small ($2/month is still reasonable at this scale). I would use Bushel when managing updates and the security of an Apple hardware fleet. The name Bushel refers to the 'collection' of apple devices managed. We have a small number of devices to manage for our small dev team. While findmyiPhone and such functionality is natively built into these devices, the ability to track and manage from one portal simplifies everything. Being able to sync updates on all devices and the remote lock/wipe functionality all within one portal are the most important features for us. Managing many more devices (such as a school or firm) is when the benefits would truly become most apparent. "Low Price for Small Feature Set"
Price is right - cheapest way to manage smaller fleet of devices with some customization. Easy enrollment and tie-in with VPP. Missing features that other low-cost MDMs include, like location tracking and Munki integration. Replaced Profile Manager as a reliable, low-cost MDM. I like the personalization. The fact that I can get all the information I need from a users computer and also push updates and scripts. It seems a little clunky at times. Like it has been pieced together too fast. Information from specific Macs are sent to us so we don’t need to ask the user. This is the only reasonable solution for MDM and Apple devices. Wish it supported multiple logins for an account. Mobile Device Management (MDM), remote wipe, enforcing security policy. Hi Matt, thank you for your review. We want to circle back on this and let you know that this summer we released Teammates, a new feature that enables multiple administrators to manage a single Jamf Now account. Thanks again for your feedback. Don’t hesitate to reach out to the support team if you have any further questions or feature requests. "Best way to setup all your Apple devices without lose time"
Now I manage all my device in a very easy way. I can configure emails, wifi network and install apps from the App Store to all of my devices. I save a lot of time! The price per month is not fixed, it depend from the number of devices that you have. Can be really expensive if you have many devices. Distribute and manage software to all of my devices. I like to use connect with other devices and monitor activity. * We monitor all Jamf Now reviews to prevent fraudulent reviews and keep review quality high. We do not post reviews by company employees or direct competitors. Validated reviews require the user to submit a screenshot of the product containing their user ID, in order to verify a user is an actual user of the product. Hi there! Are you looking to implement a solution like Jamf Now?